Sometimes the relentless pursuit of what you want is the only way to get it. Growing up in rural New York State, ISPA Chairman Todd Shaw knew he wanted to do something different. For him, that meant working in the cruise industry. But it took a Herculean task of persistence: eighteen months of what he calls “weekly harassment phone calls”. Why was it so difficult to get hired? As a young fitness fanatic with experience in aerobics teaching and a degree in Exercise and Sports Science, Todd was more than qualified to find a position in a buoyant industry that was undergoing a significant expansion. That wasn’t the problem. Todd’s problem was that he is American. By the age of 28 Todd was overseeing 12 international spas – an unlikely if not impossible feat had he not pestered a cruise line into giving him that first shot. By the time he left the industry, he had visited 53 countries and had gained knowledge and experience that made the rest of his career possible. Having managed and opened onboard spas and fitness centers across the globe, including in Germany, Singapore, France, and Mexico, Todd decided to rest his sea legs and return to dry land. What he didn’t leave behind is the globetrotting lifestyle of the cruise industry. 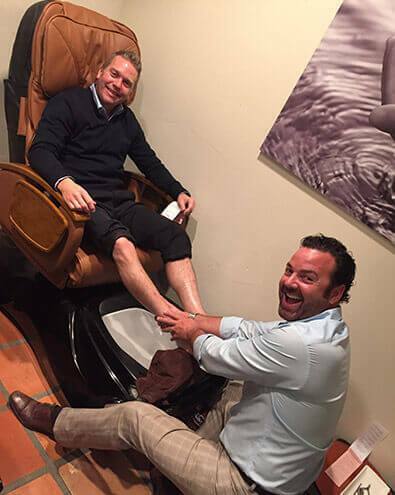 One constant throughout Todd’s career in the spa industry has been ISPA. Currently our Chairman, Todd is a vocal, industrious, and enterprising supporter of everything we do. We are privileged to have him ‘on board’.